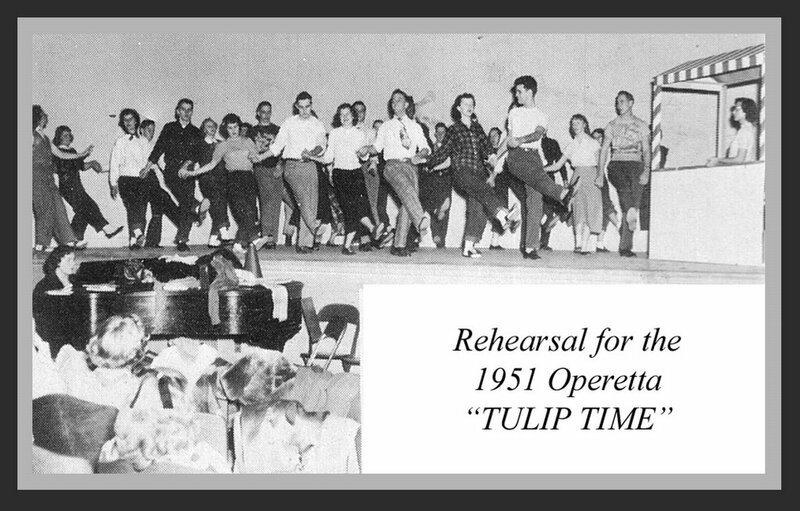 "Tulip time in Holland is a time for merry fun, market place is crowded and the joy has just begun. We are here to celebrate, and when the day is done, we will not forget the happy hours..."
Yup! I still remember that song, and just sang it for you. Lee Belardino, I'll bet you sang it with me way out there in California. HEY....THIS IS MY WEBSITE, AND I'M EXERCISING MY "WEBMASTER'S RIGHTS" TO POST MULTITUDINOUS (?) 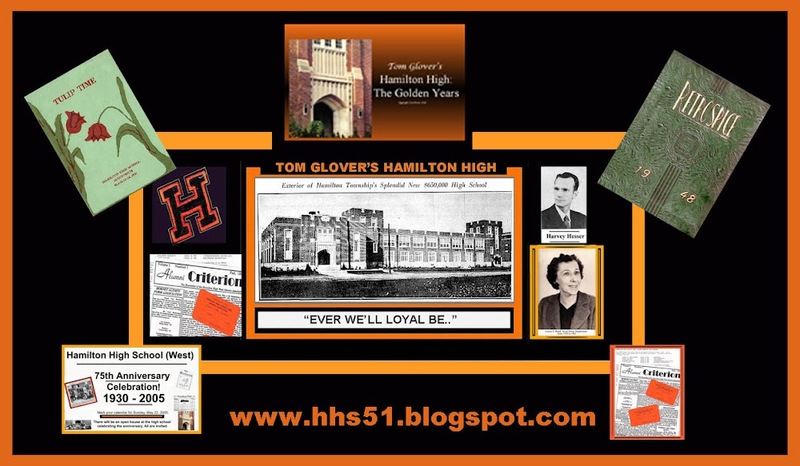 EXTRACTS FROM HHS-51, "THE CLASS WITH CLASS!" 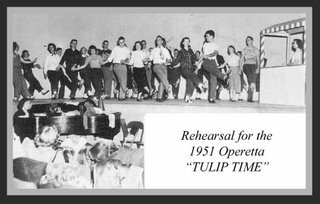 By the way, the third girl from the left in the pic is my dear wife of 52 years, Judy Britton.